How long should one await to call a spade a spade? Pakistan has attacked four times since independence as an open declared war and a million times in the garb of insurgents, terrorists and fanatics. Make security as our Priority, and first and foremost punish those perpetrators for their mass killings. 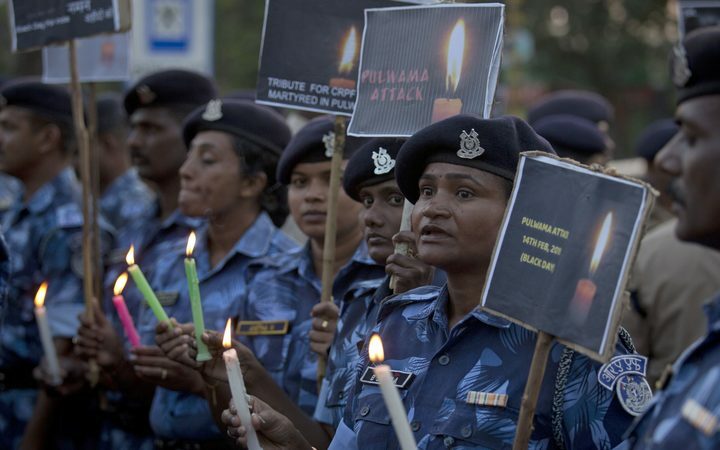 After Pulwama, debate intensifies as what could India do? These times require a simple resolution and a doggedness of execution with strategic planning and boldness. Time has come when we should not mince our words and stand up for those who laid their lives for us. It is a no great justice to the crisis of such scale when words are phrased in the convoluted and misplaced jargons that demand policy integration and strategic committees to show the ‘remarkable restraint’ and ‘balanced approach’. Terrorism is infectious and breeds as fast and thick as the fundamental to this is based on the religious extremism and fanaticism on such a way that it shuts them into one idea- kill the humanity, including a new born infant. Terrorism needs to be crushed with force and might. Else, any other approach will continue encourage these fanatics and mass killings continue. Pakistan has attacked four times since independence as an open declared war and a million times in the garb of insurgents and terrorist. And, its military has openly established their core doctrine that is based on the premise that outlines: “bleed India by the thousands cuts”, and constantly destabilize by overt and covert action as many as possible. The sinister and unholy cohorts of Pakistani army, Inter –service Intelligence (ISI) and the Government of the Islamic State are the guardians of these operations. Where do we stand? Our own failure to simply call these heinous acts and attacks on India as “Cross-border Terrorism”, and dwell in the puerile world of “non-state actors”, now should not be left to the armed- chaired ‘strategic thinkers’. They can only be sorry when thousands of innocents lives are taken way in just a matter of second. How long should we await to call a spade a spade? 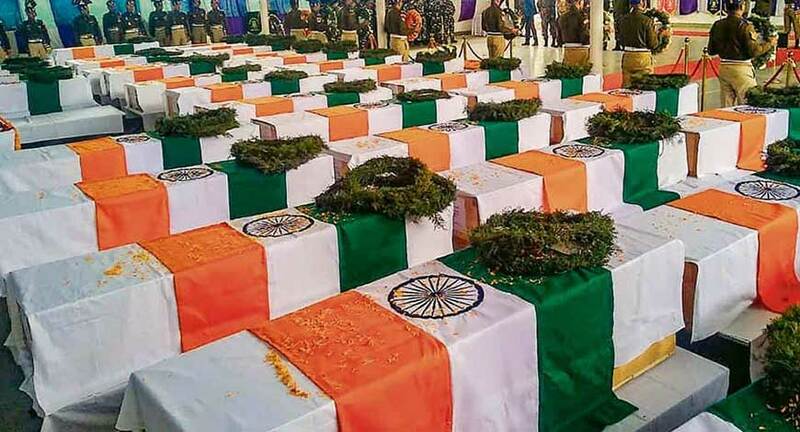 Pulwama attack on India is just another attack for the Pakistan’s ISI and their military cohorts as well the ‘government’ as they wish, they will continue planning such attacks on India. India after 72 years with a nation of the second largest mass on earth need not hide or wait under any pretension of any strategic breakthrough with Pakistan. While it should always a wish; we cannot allow such frequent attacks on our forces. Numbers counting; 2000 terrorist attack on Red Fort; 2001 terrorist attack on parliament, 2006 Mumbai train bombings ; 2016 Pathankot air base, Uri and Nagrota army camps among many – tactics none left to barrage of onslaught on India’s sovereignty. Having said that it is time to retrospect the failure of our centrality to build and act upon any cohesive national security and defence doctrine. The doctrine should guide us our act in such a critical juncture. Post Pokhran II discussion on the security framework of India needs a thorough rule book – a guiding force to even preempt and neutralize such ghastly attacks. The sheer urgency is the reflection point that no sooner India’s achieved the nuclear capability, Kargil happened. A folly -the earlier stance of ‘strategic restraint’ of India that only encourages the fanatics to go again makes a mockery of our approach. So, it is important to take action and show the resolution of finding and erasing the mass murderers- the terrorists. Remember this by Condoleezza Rice: "We're in a new world. We're in a world in which the possibility of terrorism, married up with technology, could make us very, very sorry that we didn't act."